Today is the last day of January and it’s going to be 60 degrees today and tomorrow. What is going on! I’m kinda upset to be honest. You see I would love to garden year round, but I would also enjoy a blizzard or 2 every year. Blizzards were my thing as a kid. Hot chocolate, sledding, watching the morning news to see if your school was cancelled, calling in the radio station every 2 minutes to ask for a school update, making snowmen. But this year we haven’t really got any snow except that freak storm in October (which was weird). Where was I? I forget now, my mind is full of snowflakes and the sun is shining into our loft and the cats are running around my feet.. Oh yes, seeds. 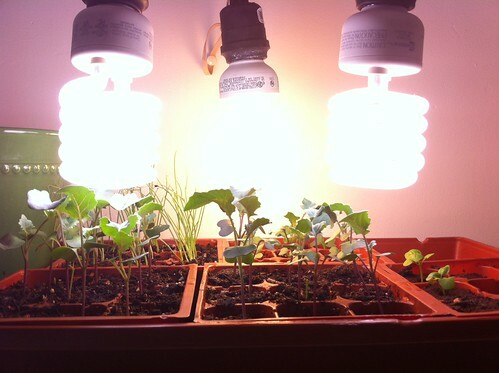 Here is our seeds update! This is for our garden that will go into full effect once winter is over and we get our first big snow storm (I’m not leaving you alone winter until I get what I want). 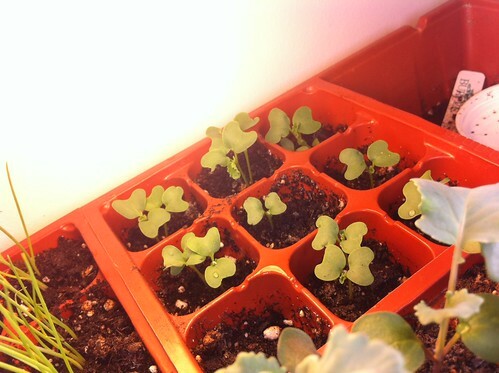 These were just planed on January 12, also we started Kale which I didn’t post about. In just 3 weeks the peas will be planted in the actual garden on the roof, where is time going!?!? We added in a additional light here. The lights are on timers, they come on at 8AM and shut off at 1AM. 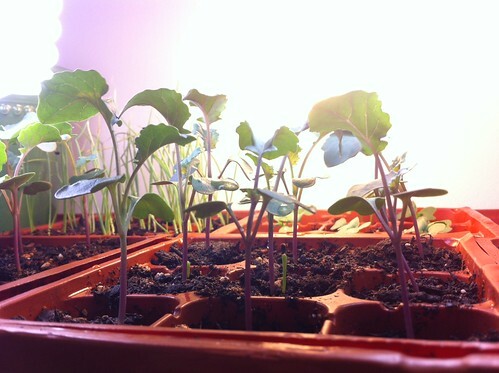 Here’s the broccoli, I’d say they are about 4 inches tall now. Looking real good. 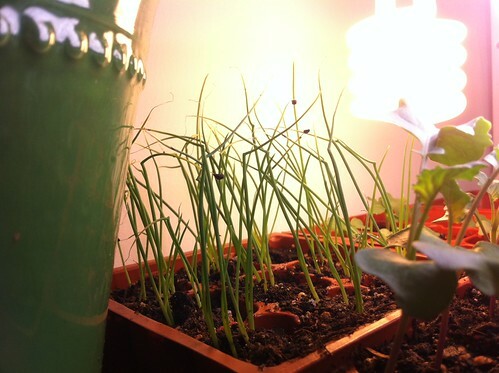 Here’s the onions, we never grew them before, but they look pretty here. Here’s the kale! We just planted these about 1.5 weeks ago.